This year, Korukonda Sainik School and Kalikiri Sainik School Entrance Examination Notification 2018-19 would be issued in October by the Korukonda Sainik School Officials for admission into Classes VI & IX in Sainik School, Korukonda, Vizianagaram District and admission into Class VI & IX in Sainik School, Kalikiri, Chittoor District. Both Sainik Schools invite applications for admission into Classes VI & IX for the academic year 2018-19. 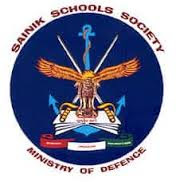 SAINIK SCHOOL ADMISSIONS: will be made strictly in accordance with the merit in the Entrance Examination, Interview and Medical fitness of candidates. The school has not deputed any individual / Organization / Institution related coaching / training. 105 Seats for Class VI, 04 Seats for Class IX in Kalikiri Sainik School. Guidelines for Medical Examination of Boys seeking admission into Sainik Schools. 1. EYE: Please refer para - 36 and 37 of School Prospectus. 2. EAR: He should be able to hear a forced whisper with each ear from a distance of 610 cms. Presence of wax in the ear is a temporary rejection. Tympanic Memberane should be intact & Mobile. It should note have any perforation. 3. HEART: There should not be any kind of murmur in the heart. 4. LUNGS: There should not be any evidence of past or present disease. 5. GENERAL: There should not be any bodily deformity. He should not have flat foot, knock knees, chest deformity, polydactaly etc. However, Height and Weight are not taken into cognisance as they are variable at this tender age.